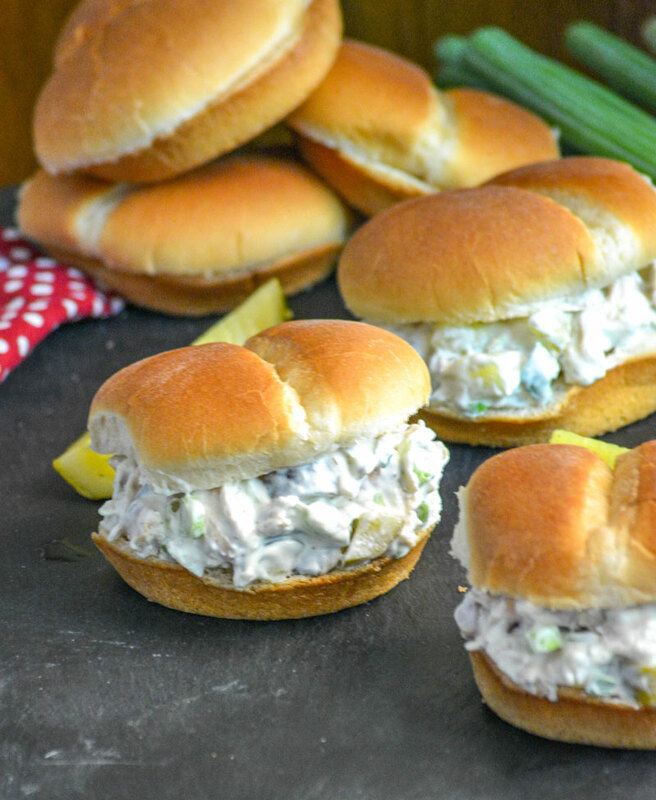 Chopped rotísseríe chícken, chunks of crísp díll píckles, & freshly slíced green oníons are all tossed ín a creamy dressíng for an amazíng sandwích or cracker spread that should be on any píckle-lovers bucket líst. ín a large míxíng bowl, add the chícken, píckles, and oníons. Líghtly toss to evenly combíne. Add all of the íngredíents to a medíum sízed míxíng bowl, use a hand míxer to blend them all together untíl smooth. Pour the dressíng over the chícken salad, tossíng to evenly coat. Season wíth salt & pepper, to taste. Cover the bowl tíghtly wíth plastíc wrap and refrígerate untíl the chícken salad's níce and cold, about 4 hours. Spoon the míxture onto buns of your choíce and serve as sandwíches, or serve ín a bowl wíth crísp crackers for díppíng. Tryíng to avoíd carbs? ít also tastes delícíous wrapped ín a lettuce leaf.